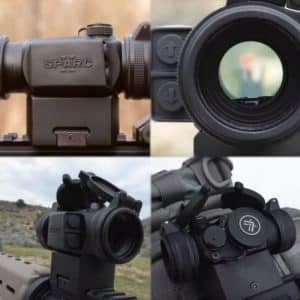 Vortex Strike Eagle vs. Viper PST Review - Best Comparison in 2019 April! 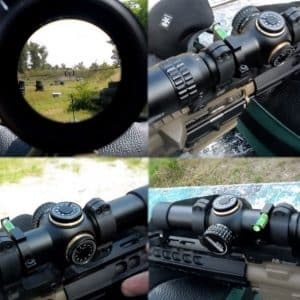 Vortex is a relative newcomer to the optics arena, but it has been delivering seismic performance and has upset the balance of power in the pool of veteran electro-optical fabricators. In this article, I take two of the Vortex models and compare their performance and application. The Viper PST is a more expensive and newer model, against the Strike Eagle, a solid long range scope. 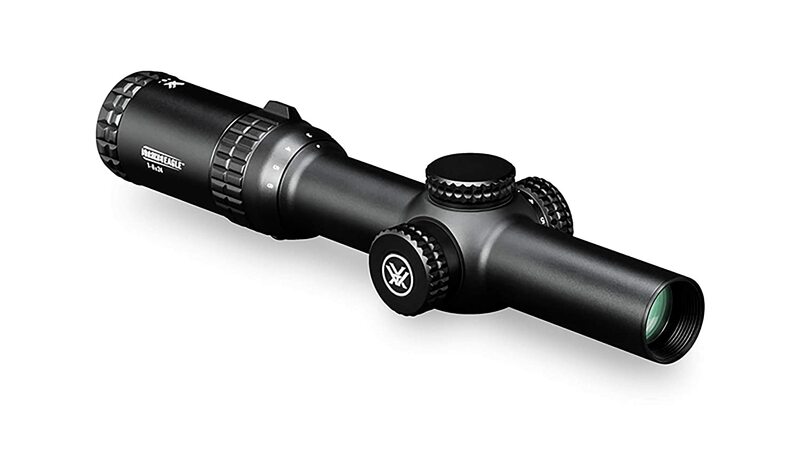 The Vortex Strike Eagle is a riflescope for technical, short and long-range shots. 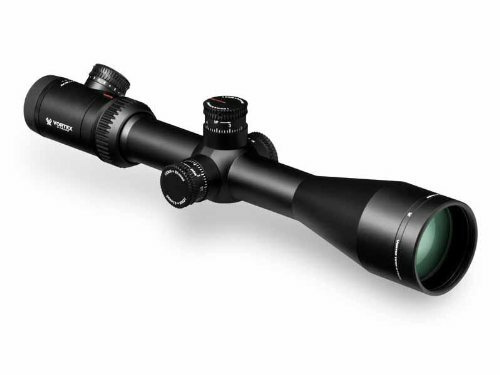 This amazing riflescope was designed to be user cost friendly, providing top-level performance at a fraction of the price of other veteran models. What the Strike Eagle gives you is the standard Vortex Fully Multi-Coated optics on all air-to-glass surfaces with a Second Focal Plane Reticle. They also integrated their EBR-4 MOA reticle which is specifically engineered to maximize long-distance shooting and ranging. 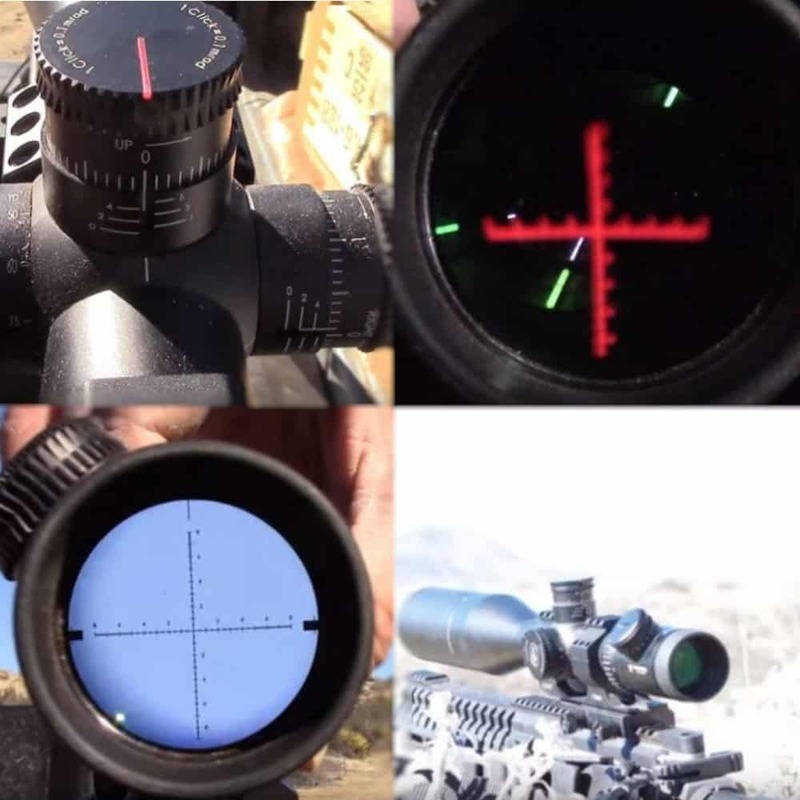 The reticle is etched on the glass for optimum durability and reliability and is illuminated, so you get exceptional clarity of the reticle in all light conditions. The body of the Strike Eagle is made from a 30mm diameter aluminum alloy tube that is hard anodize-coated and is built with O-rings to provide a waterproof performance. The tube is nitrogen purged to provide full fog proofing, and the overall construction is designed to be fully shockproof from both recoil and the occasional bang and brush. The turrets are capped, and the eyepiece provides a fast target focus. The Viper PST (Precision Shooting Tactical) riflescope is a more expensive model and is designed for accurate and fast dialing of shots. This is a newer Vortex model, so it corporates some technologies that are not found in the Strike Eagle. Among these technologies are the optic coating, which the PST delivers in bucket loads. To start off with the PST has the MAG-View Fiber Optic that gives you a highly visible reference point for the magnification setting and this comes combined with the patented Radius Bar, which is another Fiber optic component and is a turret rotation indicator that provides a highly visible and tactile point of reference for turret rotations. Now add to this the XD™ Lens Elements Extra-low dispersion (XD) glass, which is a new development that came from competing with the Nikon ED glass. This material provides an increased resolution and color fidelity. This is not all; you also get the XR™ Fully Multi-Coated anti-reflective coatings on all air-to-glass surfaces. If you thought that was enough, here is the final “bucket’ the ArmorTek Ultra-hard, scratch-resistant coating that makes these lenses exceptional rugged and resistant to scratches, oil and dirt. This model also comes with a Second Focal Plane Reticle , and the reticles are glass etched and illuminated too. The body is the standard Vortex 30 mm hard anodized, single piece tube of aluminum alloy machined to perfection and constructed with O-rings for waterproofing and shockproofing, as well as being nitrogen purged to prevent fog. The PST comes with Tactical-Style Turrets and Side Focus Adjustments. 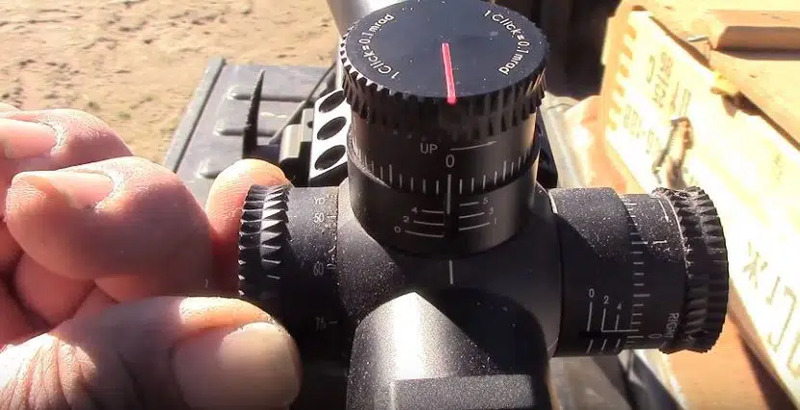 In terms of internals, the PST gives you the Customizable Rotational Stop (CRS) Zero Stop that returns the scope to zero after dialing temporary elevation correction. It also comes with a Precision-Force Spring System combined with a Precision-Glide Erector System for fast and smooth adjustments. The Vortex PST is a newer model and incorporates many optical features that the Strike Eagle doesn’t have. The body structure uses the same materials and production line, so in terms of fog proofing, shockproofing, and waterproof performance, both are equal. They both use the CR2032 battery for illumination, but the PST comes with additional range finding options in the form of a radius bar, and MAG views fiber optic. Both models give you ¼ MOA increments of adjustment, and in terms of size and weight, obviously, the newer model is designed to be lighter and sleeker. Both models have a turret reset, but the accuracy of the turret adjustment mechanics on the PST is improved and outperform the rougher Strike Eagle. The overall ranging performance and distance are similar between the two models. However, the big difference in performance comes in the magnification, which is well in favor of the Strike Eagle. The Strike Eagle gives you up to 24x while the PST only delivers 16x and that is a significant difference. Also, the Strike Eagle gives you a wider field of view (FOV) and has a shorter eye relief. However, this actually works against you when you need to require targets after a shot. 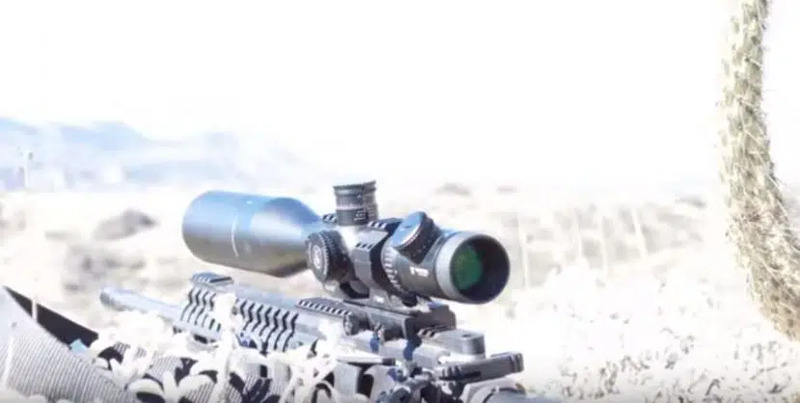 What is interesting is that the Strike Eagles 4 MOA reticle is actually nicer and easier to work with than the 1 MOA or MRAD reticle that the PST provides. 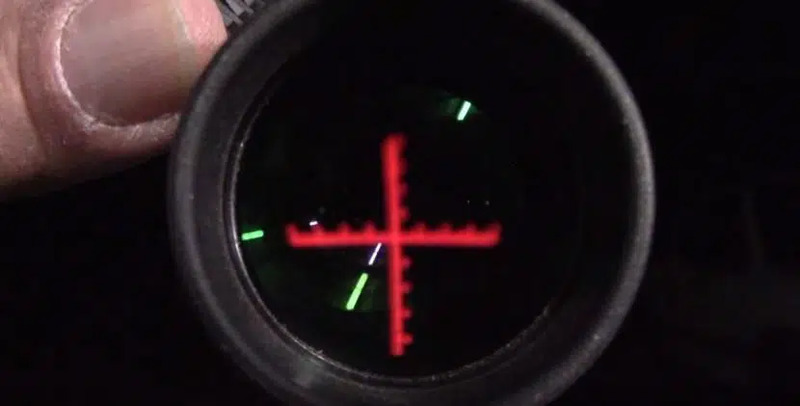 The Strike Eagle reticle has wider posts so its easier to acquire a target and since its a bullet drop compensator (BDC) style reticle, you get easier shots at longer ranges. Both models come from the same source. However, the Strike Eagle is actually manufactured for a different application, long distance. So in terms of application, the Strike Eagle outperforms the PST for long-range shots, while the PST outperforms the Strike Eagle for mid-range and close combat shots. 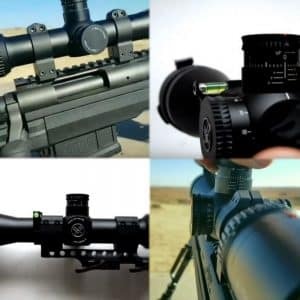 The major differences are in the optic coatings and quality, the PST is one generation better than the Strike Eagle, and the price difference is based on the newer and better performing optics. The bottom line is this; if you need a long-range inexpensive but high-quality scope, then the Strike Eagle is your choice. 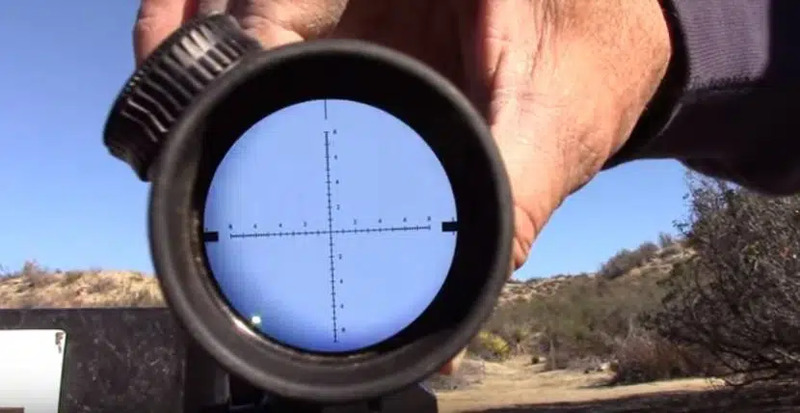 If you need a mid-range tactical scope that delivers perfect ranging performance in every self-defense and other condition than the PST is the one to get. The final word is on a budget, where the PST is more expensive by 50% than the Strike Eagle, so you need to get your priorities correct and buy the scope that suits the applications you want. Take note that both come from Vortex, so in terms of construction and such, they are identical in materials used and in overall operating performance. PST: Great value for Hunting, General Use, and Self Defense.